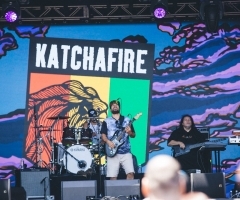 New Zealand eight-piece band and veterans in the reggae scene, Katchafire, just released an absolute beauty of a single from the long-awaited forthcoming album. Their first recording of 2017, titled “Addicted”, has finally been released. 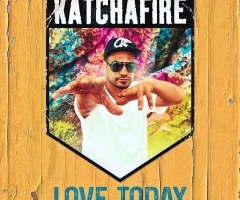 This track beautifully captures Katchafire’s signature sound and portrays a powerful love story. It has harmonies and head-bobbing rhythms that will take you beyond the world you know. Without saying, it also includes the signatures that make Katchafire the artist they are today, with a funky bass line, subtle and yet powerful horn section, and captivating vocals that only add to the soulful vibe of the track. The release of the single also comes with a music video. The music video itself is beautifully captured and goes along perfectly with the story of the song. “Addicted” is truly a song that speaks from the heart. Much of Logan’s lyrical content revolves around his loved ones, particularly how they relate to the itinerant life of a musician as mentioned in our interview with him below. First off, we here at Top Shelf Reggae would like to congratulate you on the beautiful new single and video. Where do you find your inspiration for song writing? All around, I like being home and well rested from the road and surrounded by loved ones. What track on the new album is your favorite and why? Hmmm, probably a track I call "Dub Dub Dub". It talks about us digging in the trenches everyday for the last 20 years, helping to make this reggae thing global. Please talk about, if you can, the collaborations on the album. I can't yet, but I'm in Jamaica next week, finishing touches on the album and I'm excited to work with an array of very talented people. Describe your fondest memories making the new album? I had a ball working with Steven Maxwell from our home studios over WhatsApp in different countries, and doing sessions all over the world in various studios. How would you like someone to feel after listening to your album? Up-full, feeling loved and re-energized. Finally, what are you currently listening to on your down time?